We introduce a model which may generate particle number asymmetry in an expanding Universe. The model includes charge parity (CP) violating and particle number violating interactions. The model consists of a real scalar field and a complex scalar field. Starting with an initial condition specified by a density matrix, we show how the asymmetry is created through the interaction and how it evolves at later time. 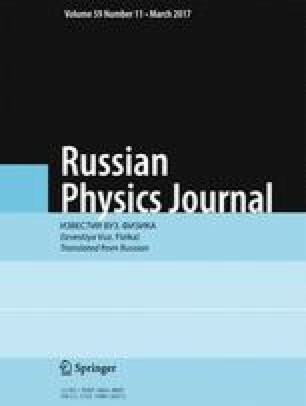 We compute the asymmetry using non-equilibrium quantum field theory and as a first test of the model, we study how the asymmetry evolves in the flat limit. Translated from Izvestiya Vysshikh Uchebnykh Zavedenii, Fizika, No. 11, November, 2016.